We are offering Bronze Bushes to our clients. Manufacturer of Zinc bronze alloy bush. 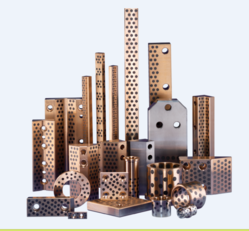 Owing to the effort of dedicated team, we are emerged in manufacturing and supplying a wide range of Bronze Bush. We are offering Aluminium Bronze Bushes to our client. Owing to years of experience in the industry, we deliver world-class range of Bronze Bush. This Bronze Bush is known for its supreme quality and high durability. Rototech Metal & Auto Co. Outer Diameter: 350 mm max. Prices depends on products and quantities. Patel Brass Works Pvt. 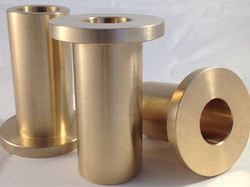 Ltd.
We manufacture corrosion resistant Cast Bronze Bushes to our valuable clients. In their manufacture, we use premium quality raw materials sourced from trusted vendors who have been associated with us since a long period. These bushes are applicable in automobile and motorcycle industries.